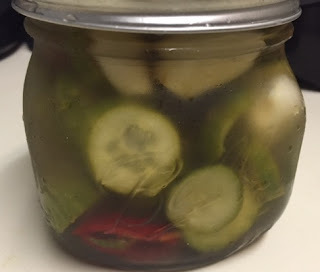 I have loved all kinds of pickles ever since I was a little kid. 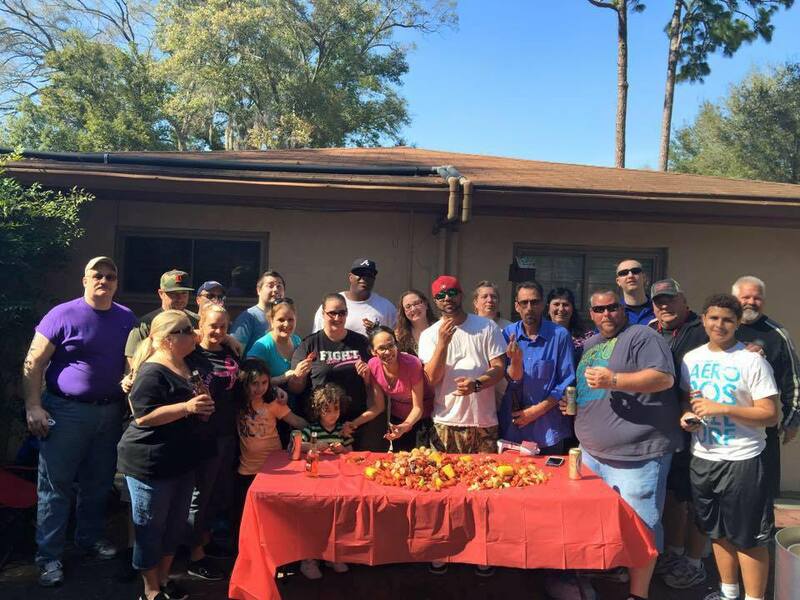 My friend Mike and I are always on the search for a new delicious pickle. 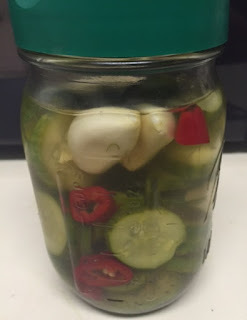 I was perusing Pinterest and I found an easy recipe to make your own pickles, so I thought I would give it a shot. At this point, the pickles are only 2 days in and are already delicious!!! I am including pictures from the making process as well as at the 24 hour mark. Next week I will update the post with how the pickles are at the week mark. You can find the original recipe HERE (I tweaked it a little by adding fresh chile pepper instead of pepper flakes and I did not include mustard seed), and the original Pin HERE. Combine water, vinegar, salt, and dried dill in a pot. Bring to a boil and simmer until salt is dissolved. 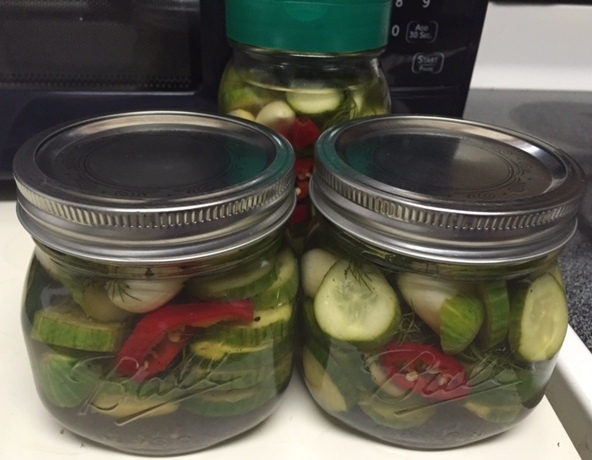 Meanwhile, divide pickle slices between 3 regular mason jars. Add 4 garlic cloves to each jar, and 2-3 pepper slices to each jar. Top with a few grinds of black pepper. 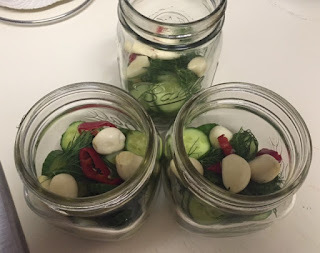 Add in a branch or two of fresh dill to each jar. Top with brine. Let cool in jars on counter for an hour or two, then top with lids and refrigerate. Wait 24 hours before serving.